The 9th of December 2015 was the 100th anniversary of the torpedoing in the Eastern Mediterranean of the SS Orteric. This 6,535-ton, 460-feet cargo and passenger liner was a relatively new ship, built in Scotland and entering service in 1911. At the time of her loss to a torpedo fired by the German submarine U-39 she was carrying a cargo of sodium nitrate from Chile to Egypt. Two seamen lost their lives – a tragedy for their direct families, but small in scale compared with that occasioned by so many other sinkings in the period. It also played by comparison with a much more dreadful tragedy – if not to say scandal – in which the SS Orteric had been involved shortly after entering service four years previously. An earlier blog on this site dealt with the conditions in which steerage-class passengers were carried on board ship in the last decades of the 19th Century (click here for link). It is however somewhat of a shock to read of conditions as bad, or worse, prevailing on a newly-built, modern ship, just before the outbreak of World War 1. Managed for ship-owner Andrew Weir of Glasgow, whose interests included the Bank Line and the Inver Transport & Trading Company, the SS Orteric was set to work to carry Spanish and Portuguese families to Hawaii to work as contract labour in the sugar-cane fields there. The SS Orteric left Europe in February 1911, carrying an incredible 1525 emigrants, of which 960 were Spanish and 565 Portuguese. 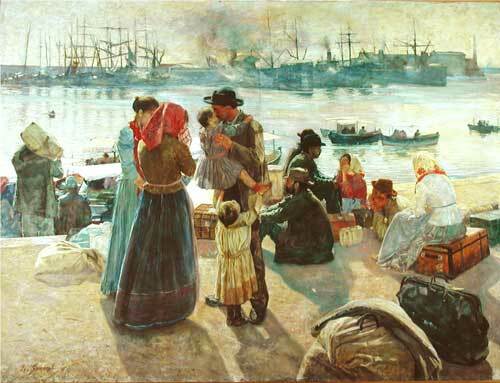 The Portuguese boarded at Lisbon and the Spanish – apparently Andalusians – boarded at Gibraltar (scene of another emigrant ship tragedy – click here for blog link). As this was a year before the Titanic disaster was to expose the scandal of even luxurious passenger liners carrying insufficient numbers of life boats, one can only question how many of these 1525 people could have been saved in the event of collision, fire or wrecking. It is hard to imagine what the accommodation provisions must have been – one presumes temporary bunks in the cargo spaces – and one wonders also how the catering and sanitation needs could have been met. The conditions these emigrants were fleeing from in their homelands must have been dreadful indeed if a voyage of this nature was accepted by so many as the price of deliverance. 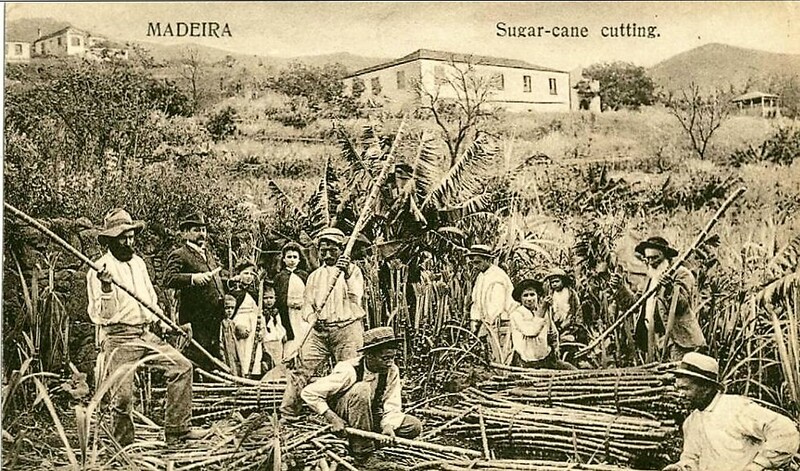 Portuguese immigration to Hawaii had been underway since 1878, mostly coming from Madeira and the Azores, but it was only from 1907 that Spaniards were recruited to work on the plantations and given free passage. In this case “free” almost certainly implied that accommodation and provisioning costs would be the lowest possible. The Spanish and Portuguese did not appear have got on well together on the SS Orteric – later newspaper reports indicated that they fought with each other during the long voyage, “so much so that they had to be separated. The women . . . went as far as hair pulling.” Given that most of these people had probably never previously been more than a few miles from their home villages, distrust of strangers was probably inevitable. The voyage to Hawaii lasted 48 days and rough conditions in the Atlantic, and rougher ones still when rounding Cape Horn at the tip of South America, made it an uncomfortable one. This might have been tolerable – just – had it not been for an outbreak of measles. This resulted in 58 deaths, the majority of them of children. The overcrowding, and the necessarily poor ventilation during stormy conditions, must have made rapid cross-infection unavoidable. 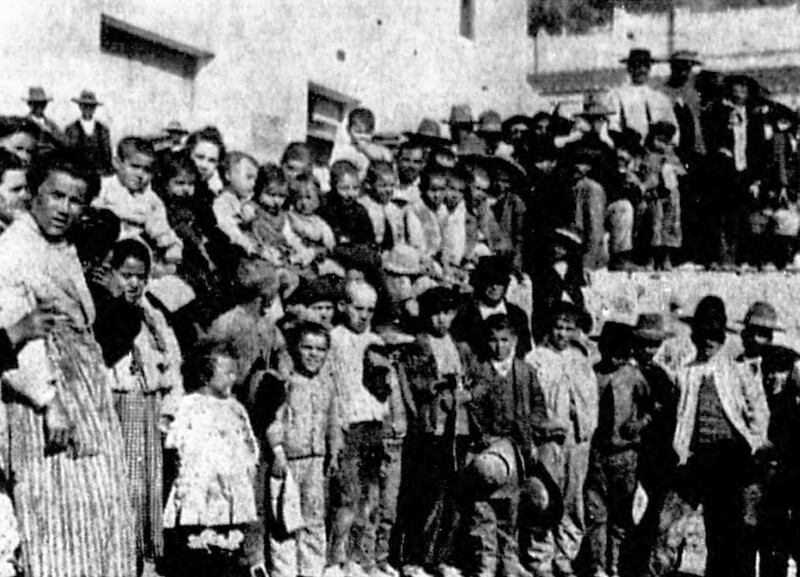 The fact also that many of these people were from rural communities meant that they had little chance of having built up immunity to common childhood diseases. In this respect the child growing up in an urban slum might have been better protected than one from a remote rural village. The mind recoils from imaging the nightmare of illness, death and bereavement endured by the families on the SS Orteric and yet it is hard to find much evidence that this largely preventable tragedy evoked any great public outrage in Britain. It would be interesting to know how – or if at all – the directors and shareholders of the company owning the SS Orteric reacted to the news. 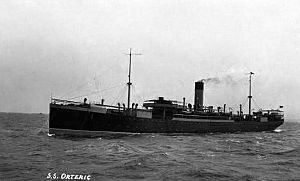 By 1915 the SS Orteric was in service as a cargo vessel and supporting Britain’s war effort. 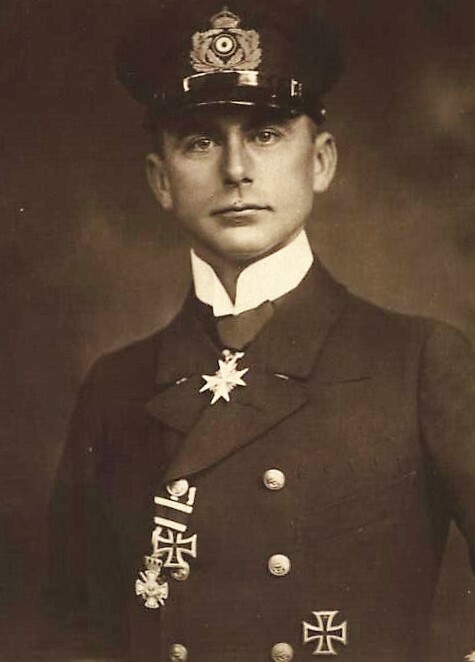 On the 9th of the month she had the misfortune to encounter U-39, commanded by Kapitänleutnant Walter Forstmann (1883 –1973), south of the Greek island of Crete. Forstmann was to be one of the most successful U-boat commanders of the war, scoring the highest tonnage loss – 384,304 tons – and sinking 146 ships. On sighting the U-boat on the surface the SS Orteric tried to escape but when this proved impossible the decision was taken to surrender. The ship was torpedoed anyway but the occupants, other than two seamen, got away in three boats. They were picked up by a British hospital ship three hours later. Forstmann’s career continued – his most spectacular coup being to sink five steamers – together carrying over 31,500 tons of coal – in the Straits of Gibraltar in only two days in 1916. It was to win him the coveted Pour le Mérite – the so-called Blue Max. Surviving the war, he was to qualify as a lawyer thereafter and to work – most appropriately – for the Thyssen coal company. He was an active member of the conservative-liberal German People’s Party until its dissolution after the Nazis came to power in 1933. He returned to the navy during World War 2 and assigned to administrative positions. His subsequent peacetime career was concerned with housing management and in 1956 was involved with the design of Pestalozzi villages, a charity set up after the war for accommodation and education of children coming from all sides in the conflict. It is still active, sponsoring study by students from developing countries. It is strange to think of such admirable work having remote links to the tragedies involving the SS Orteric and that a man who had been responsible for so much destruction should have played a such an admirable role in reconciliation. And the owners of the Orteric? One presumes that they were compensated for their loss. And, even if it was paid, no compensation could ever have made up for the deaths of the 58 peacetime deaths in her holds. 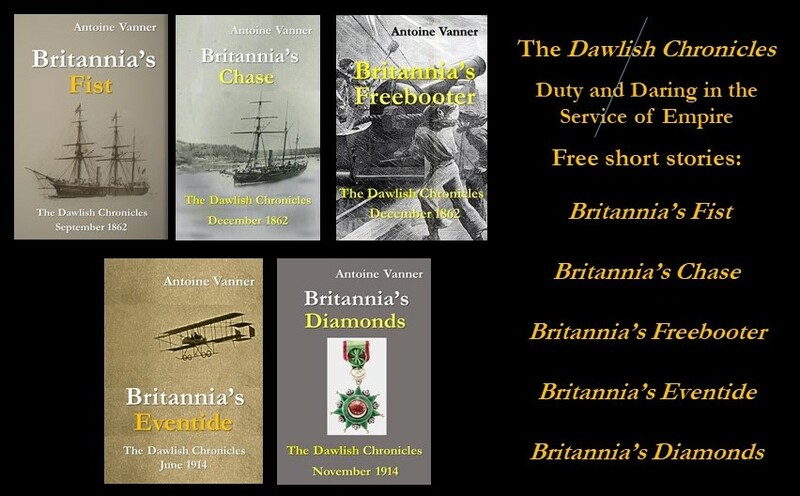 If you’re a Kindle Unlimited or Kindle Prime subscriber you can read any of the seven Dawlish Chronicles novels without further charge. They are also available for purchase on Kindle or as stylish 9 X 6 paperbacks. Registering for the Dawlish Chronicles mailing list, by clicking on any of the cover images below, will keep you updated on new books. You will also receive five free short stories for downloading on your Kindle, computer or tablet.